In the words of the great Ron Burgundy, essential oils are a pretty big deal. Let’s dive in, shall we? Essential oils are really freakin’ old. Plants are known as our first form of medicine. Romans would use plants to build up courage before battle. Egyptians used oils to embalm their dead. In the Bible oils are mentioned over 100 times. As modern medicine began to change, the use of plants for their therapeutic properties began to dwindle. Because of those advances, the main use of essential oils at the time was to make perfumes. Then a chemist and perfumer in France by the name of René -Maurice Gattefossé changed the game; by accident of course. René was working when he accidentally burned the daylights out of his hand. Instinctually, he shoves his hand in the nearest pot of liquid he could find. Can we all guess what that liquid was? DING-DING-DING! Lavender essential oil. He went about his business and realized something in the days that followed, his hand healed insanely fast. So much so that he spent the duration of his life researching oils and their therapeutic properties, he called it “Aromatherapy”. Essential oils are the volatile liquid that lives in a plant, they’re distilled or extracted depending on the type of plant. The reason they’re called “essential” is because the oil is the essence of the plant. The life blood you could say. The oil inside of a plant is what is responsible for doing things like repelling bugs that may pose a danger to them, or attract beneficial ones. Picture a Russian nesting doll, this is an essential oil. Each oil has hundreds of individual chemical characteristics responsible for different actions. In each of these chemical components lies trillions of molecules and no, I’m not exaggerating! Now picture administering this to your porous skin. Your body then rapidly absorbs these molecules, distributing them throughout your body, inheriting the same benefits that the plant had originally used them for. Mind. Blowing. Back to the word volatile, it sounds scary but it isn’t. It’s actually one of the most important features about essential oils. Volatile comes from the Latin word volare meaning “to fly”. The molecular structure is so light it evaporates into the atmosphere when you diffuse it. Now in the context of the human body, this makes it super beneficial. Peppermint for instance, is great for supporting healthy sinus function. When diffused and inhaled, your mucous membranes absorb it, administering its refreshing properties throughout your sinuses. That’s the way oils work. When applied to the skin or diffused into the air, your skin and mucous membranes absorb them quickly and distribute those flying molecules throughout your blood stream. That’s the beauty of essential oils, all you have to do is apply them and they do the rest of the work. That’s it. Easy peasy lemon squeasy right? Next week we’ll be talking about methods of application. Pardon my leave of absence, the jump from having three children to four has been by far the most difficult for our family. My five year old thinks she’s thirty, my 3 year old seems to think that since he is so sweet he can do whatever he wants (kind of like those sour patch kids commercials) and my almost 2 year old doesn’t like that she’s not the baby anymore; throw in a newborn baby and you’ve got yourself a party! Enter essential oils. Lately, I’ve been using several essential oils for my postpartum sanity and on the kids to subdue the cray-cray. It all started 3 years ago when my hubby and I were looking for something that promotes a more restful night’s sleep. A friend of mine was a Young Living distributor and gave me some Lavender to try out, after that I basically said SHUT UP AND TAKE MY MONEY. Our sleep was UHMAZING man!! I later learned that Lavender is basically the hot sauce of essential oils, you put that stuff on everything. This led me on a rabbit trail of oily goodness which then led to me -a mom at the time of three under 5- to go to school for aromatherapy. I can’t stand school, so I knew aromatherapy was a passion of mine when it propelled me to go back to school and become a certified Aromatherapist. WABAM! I’m a certified Aromatherapist. I’ve noticed that most articles out there about Essential Oils are usually surrounding the potential dangers of essential oils and bashing MLM companies for promoting unsafe usage. I learned about oils from an MLM (Young Living woop woop!!) I also first learned about safety from them and have not had an adverse reaction yet. I most definitely support MLMs and disagree with the sentiment that most distributors are spreading unsafe information. So if that’s what you’re looking for, you will not find it here. There you have it, I look forward to getting our learn on together! I am not the lady with the perfect house and a book full of my grandmas old recipes. I’m a self taught homemaker and a continuous work in progress. I wanted to create space for women who like me have been raised in unconventional low income families and don’t know where to start. Check out the rest of my about me here! My Hiatus, My Miscarriage Story & My Comfort. I live off of Amazon Prime so this definitely happened. 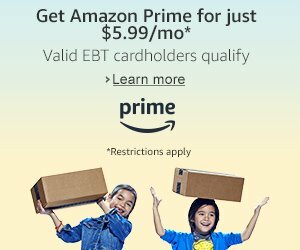 This Marvelous Mess is a participant in the Amazon Services LLC Associates Program, an affiliate advertising program designed to provide a means for us to earn fees by linking to Amazon.com and affiliated sites. Do you love Amazon and have favorite products you can’t shut up about? You might as well make a little money from it by checking out the Amazon affiliate program!